Joan Crawford, left, Nera White, center, Doris Rogers, right, and Doris Barding Moore in front, were a winning combination for Nashville Business College in the 50s and 60s. Photo courtesy of Doris Rogers. A number of women’s basketball legends have come from Tennessee. Topping the list, of course, is the late Pat Summitt, who played on an Olympic championship team and coached the Lady Vols to more than 1,000 wins in her career. Among players, though, you have to go back a ways to find the legend of all Tennessee legends: Nera White. White was inducted into the Naismith Memorial Basketball Hall of Fame in 1992, the first woman so honored. 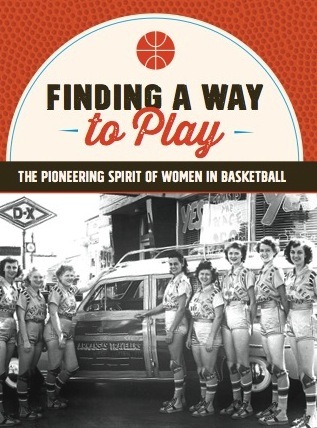 She was also one of the earliest members of the Women’s Basketball Hall of Fame in Knoxville. White was born on Nov. 15, 1935 in Lafayette, the county seat of Macon County, about 60 miles northeast of Nashville. She was the eldest of seven children, and she didn’t start playing basketball until high school because her responsibilities on the farm. After graduation, White went to George Peabody College for Teachers in Nashville, now part of Vanderbilt University, for four years. But this college did not have a women’s basketball team, so Nera was recruited to play for an Amateur Athletic Union (AAU) team sponsored by Nashville Business College. The Nashville Business College coach, John Head, was impressed with White’s slender, 6-foot-1 frame, her dribbling and shooting skills, and her quickness. She had large, strong hands and could control the boards, dunk the ball, run the floor faster than anyone else, and seemingly stop on a dime. 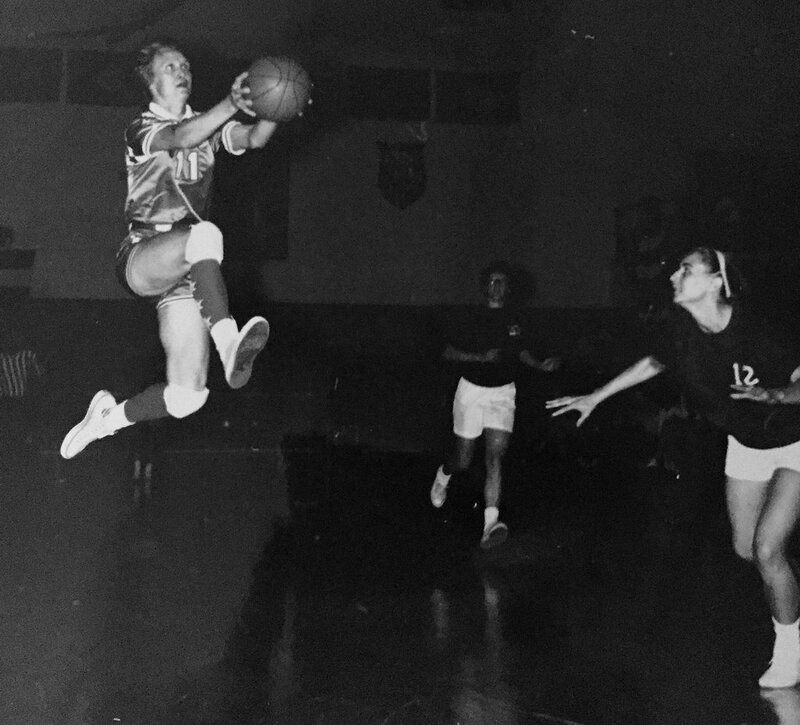 According to her former teammates, she could glide from midcourt to the basket with three long dribbles. White flies through the air during an AAU game. New York Times photo. Nashville paid White’s room and board at Peabody College, but she never got her teaching degree because she was too shy to do her student teaching. Instead, Nashville’s sponsor, H. O. Balls, hired White to work in his printing shop after she graduated. Her pay was only $1 an hour, but she continued to earn her wage while playing games and practicing. With White leading the way, Nashville won 10 national titles. She was named an All-American for 15 straight years. White wasn’t just a scoring machine. Though she could hit a jump shot or hook shot from 30 feet away, she took pride in her rebounding and assists. 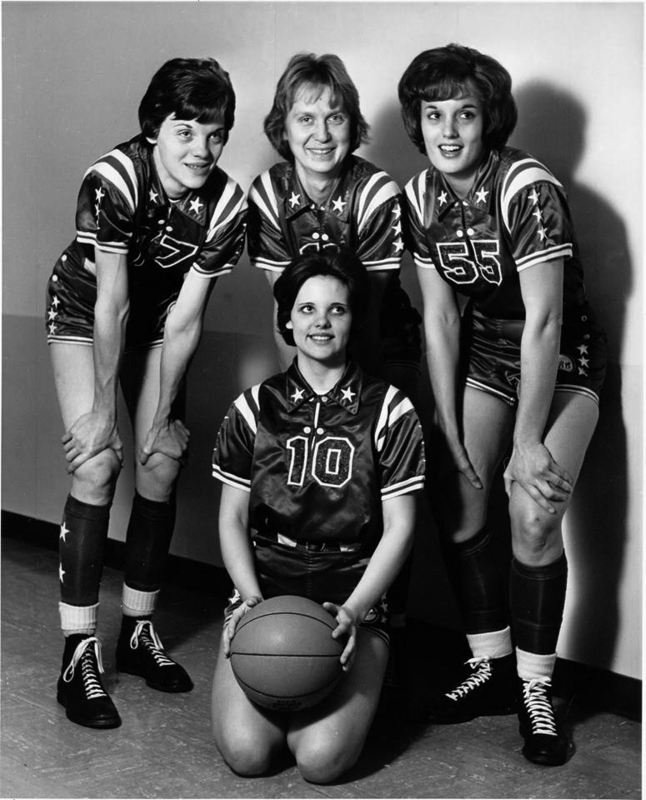 In 1962, as Nashville Business College sought to win back the AAU national title from Wayland Baptist, White found herself being triple-teamed as she drove to the basket against the Flying Queens’ collapsing defense. She scored only 8 points that night but grabbed 14 rebounds and handed out 11 assists. Nashville won the national championship in 1962 and began a dynasty of eight straight titles from 1962 to 1969, including 96 wins in a row. White’s career ended in 1969 when the AAU adopted the five-player game rules. H. O. Balls opposed the change and chose to disband the team. White, 33, could still run up and down the court with anyone, but she chose to retire. According to her obituary (She died in 2016), she returned to Lafayette, and put her heart and soul into farming the land she grew up on. White also adopted the son of an unmarried former teammate when he was three days old and raised him on her nearly 200-acre farm. She was somewhat of a recluse but was well known and beloved in the town where she lived out her days. It is her basketball prowess that the rest of us should remember. Those who saw White play, or played with her, believe she could have held her own with the players of today because of her outsized talent and her understanding of what makes a team great.